A look at accidental shootings, known once as 'melancholy accidents,' throughout American history. A depressing litany, to be sure, though often unexpectedly poignant ... 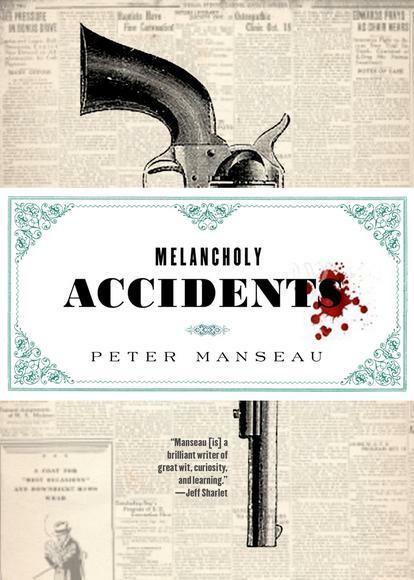 The term of art in Manseau’s book is the 'melancholy of its title: These reports, taken together, are not just a history of firearm accidents but also an archive of melancholy itself. For in the absence of a morality play with guilty parties, or an affirmation of a divine plan that may someday be known to us, what is left? [A] haunting little book ... While acknowledging that his compendium of mayhem may read like a political argument against guns, that wasn’t his intention. The people he’d really like to reach are gun owners. Their adaptation of smart guns, which electronically limit who can fire them, is our best chance for progress, he says. I read the collection hoping to find some through line, some evolutionary principle that guided the development of the melancholy accident over three centuries. Instead, the 'plot' of the book showed me that not all tragedies return as farce, at least not in America, where tragedies simply recur as bullets ... you could send this horrid, necessary little book of hymns to the gun worshiper you’re sad to know. What did you think of Melancholy Accidents: Three Centuries of Stray Bullets and Bad Luck?